It starts with choosing the right email marketing software. Email marketing is a powerful and budget-friendly method of gaining and maintaining customers. In fact, according to the Direct Marketing Association, email marketing has a 4,300% ROI. If you aren’t using email marketing to communicate with your customers and prospects, there’s no time better than the present. There are a lot of free and affordable email marketing services available. We have experience with many of them, including MailChimp, Benchmark, Constant Contact, HubSpot and Vertical Response. We’ll help you determine which software is right for your business needs. We’ll get you set up with a beautiful, responsive template that’s sure to win you more customers. 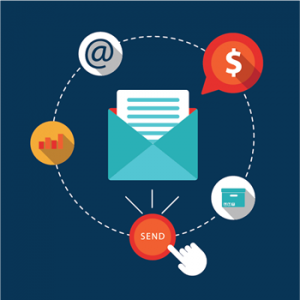 Check out our post: What is the Best Email Marketing Software? Have a project you’d like to discuss? Fill out this form to get a quick quote.